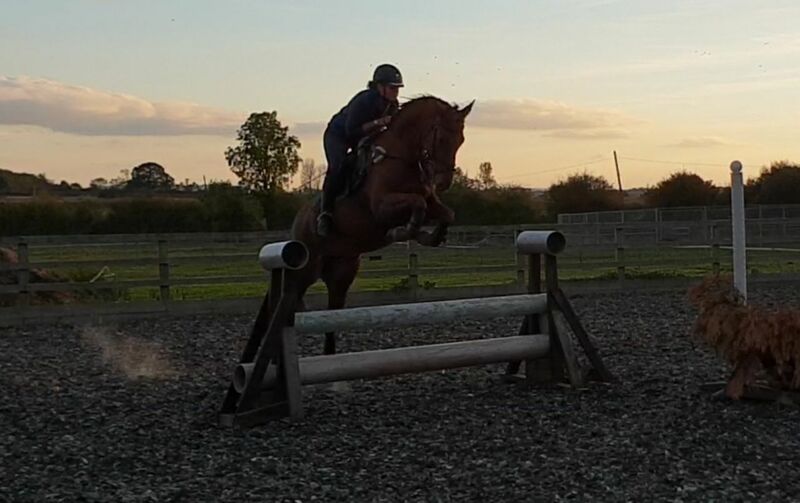 Very pretty little mare (15hh) with lots of potential. 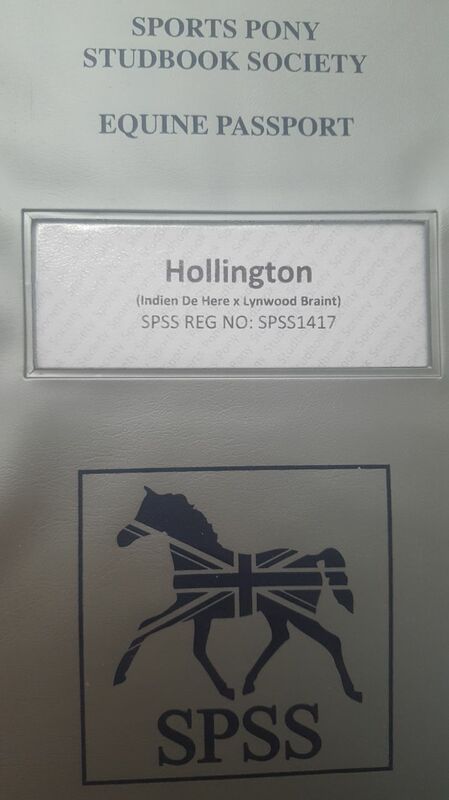 Sports Pony Studbook Society passport with DNA confirmed breeding history. 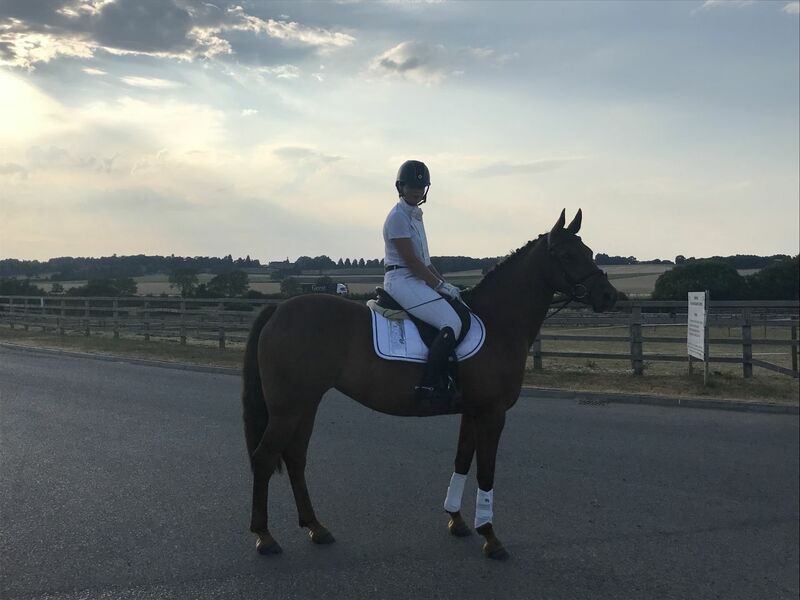 This season Holly has been competing at low level unaff show jumping and dressage (Prelim), and has been cross country training through water and over small fences. 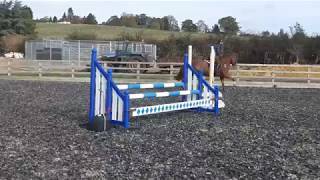 Holly has a naturally careful jump with good technique and with the correct continuation of her training she is going to be a very fun and special little horse for someone. 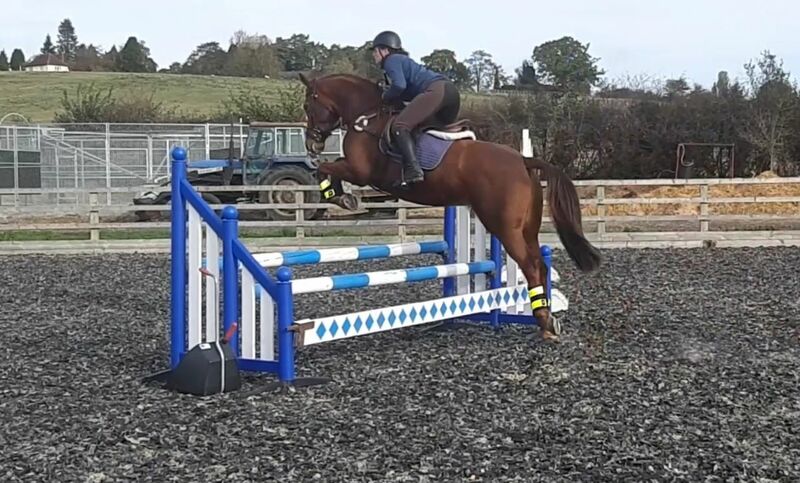 She has lovely paces and clean legs, so would also make an ideal Show Pony/WHP/Dressage pony with the right rider. Holly is by no means the finished article but is at a nice point ready to find her new partner and get out doing a bit more. 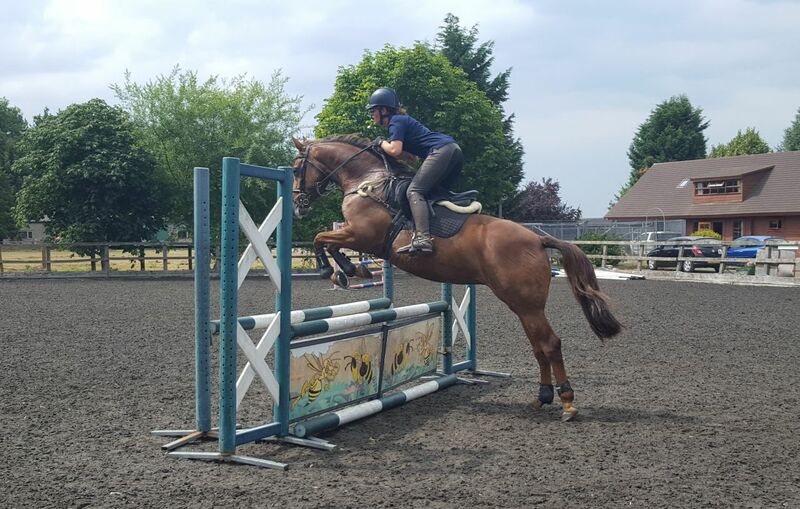 She will ideally suit an experienced and confident rider looking for a quality small horse to bring on further and continue her education. 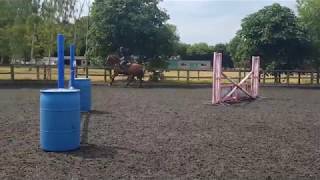 She really enjoys her jumping but lacks mileage due to lack of time spent on her as she has been one of many we have been producing this year. 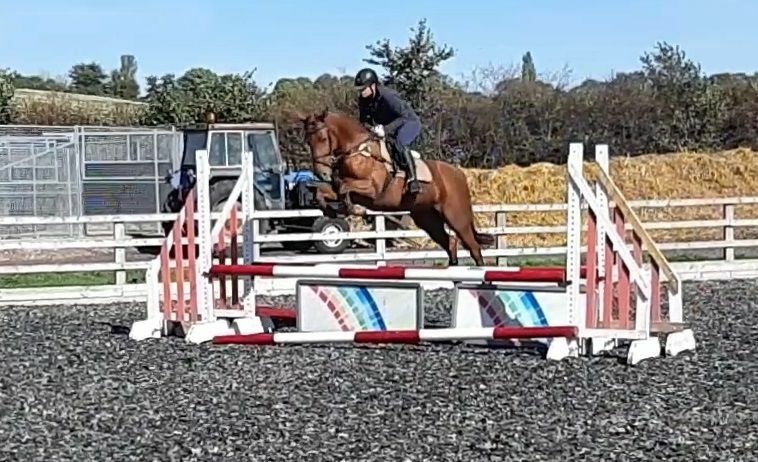 She pops around courses up to 90cm at home with scope to burn, hacks around the fields with sheep/does gates etc in company or alone. 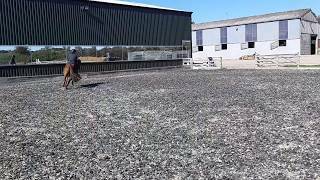 She is good to hack out on the roads/handle/shoe/catch/travel etc and is a nice horse to do and have around on the yard. 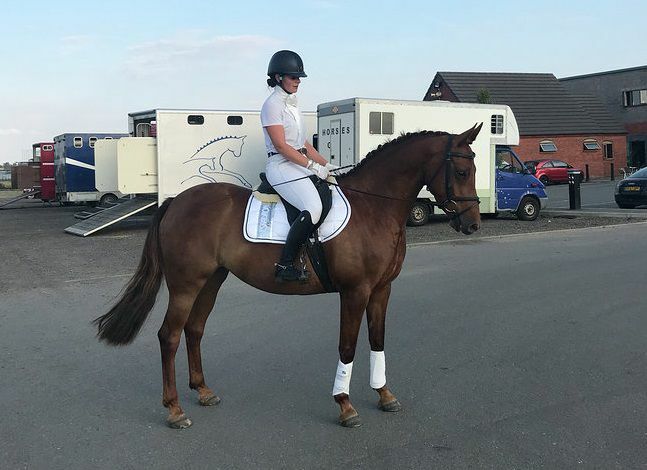 Great opportunity to buy a very well bred, very capable young horse that has the potential to be worth at least double what we are asking for her. Sadly, a combination of land being quarried at our Stud and too many 3yo’s now requiring our time and attention forces quick sale. 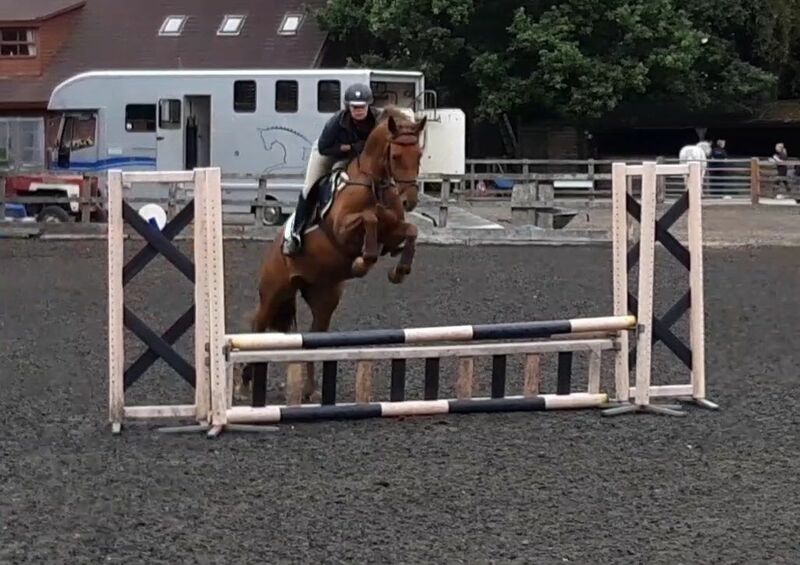 Price does not reflect quality of this smart little horse. 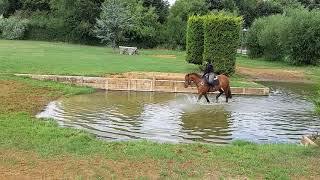 No novice riders or dealers, we are looking for a good knowledgeable home. 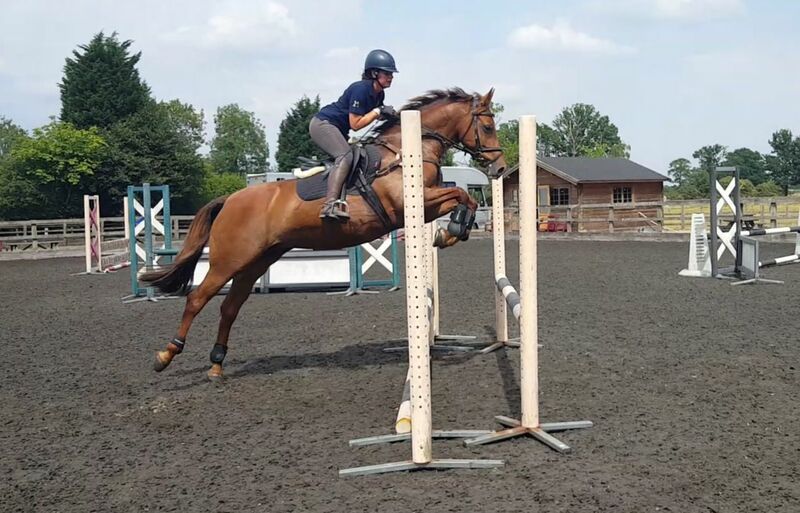 Great opportunity for someone who is a competent rider but doesn’t have a lot of money to spend. Open to sensible offers.